KRS-One Announces ‘Now Hear This’ Album, Drops First Single - "Drugs Won"
KRS-One, AKA the famed Teacha of hip-hop, has announced a new album, entitled Now Hear This. As Punk News reports, the album is produced by Predator Prime and is due out November 24th, when it will be available to purchase via the producer's Bandcamp page. Following the announcement, the Bronx-based rapper dropped the forthcoming album's first single, "Drugs Won." Stream the track via Predator Prime's Soundcloud below. Now Hear This follows 2012's The BDP Album which saw the artist's return to his roots while he revisited the roots of New York hip-hop through something of a post-apocalyptic narrative lens that recalls the pop-frenzy of the Mayan calendar's end with every listen. That album also saw a change in the rapper's voice as he got back to the louder, heavier vocal tone with which he delivered his lyrics decades ago on classics like "Sound of da Police." On this new single, we hear the same growling, bassy vocal roar delivering lyrics that are as politically charged as ever. In today's era of musical production that often involves guerrilla advertising tactics like announcing albums via highway billboards or buzz-worthy drama like the Twitter beef that's become a daily ritual, it's worth noting when a legend seems to come out of nowhere with a new album. That's the thing with an artist like KRS-One, who's been at the MC game since he was a teenager--he didn't need to create any noise about the album before dropping the new song. He did send out one tweet in honor of Hip-Hop History Month, but that's about it. 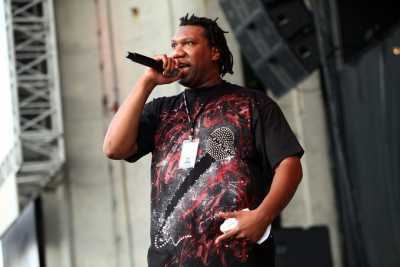 KRS-One might be as well-known for his work as an activist as he is for being a major voice in hip-hop. In the late 1980s, he created the Stop The Violence Movement following the tragic shooting of Scott La Rock, a founding member of Boogie Down Productions. He has also addressed political issues through his music throughout his career. Considering the political climate of the years in-between albums, fans can likely expect more of the same with the entirety of Now Hear This.